Following the killing of eighteen people by armed FDLR rebel troops on the night of January 6 to 7 at the IDP site at Miriki in the DRC, the Congolese National Police (PNC), in consultation with the United Nations peacekeeping mission MONUSCO‘s police force, have deployed forty five officers for reinforcement and to ensure the safety of people and property in the area. During the same week, the joint teams for the implementation of the Integrated Operational Strategy against Insecurity in Beni / Oicha continued their regular patrols. 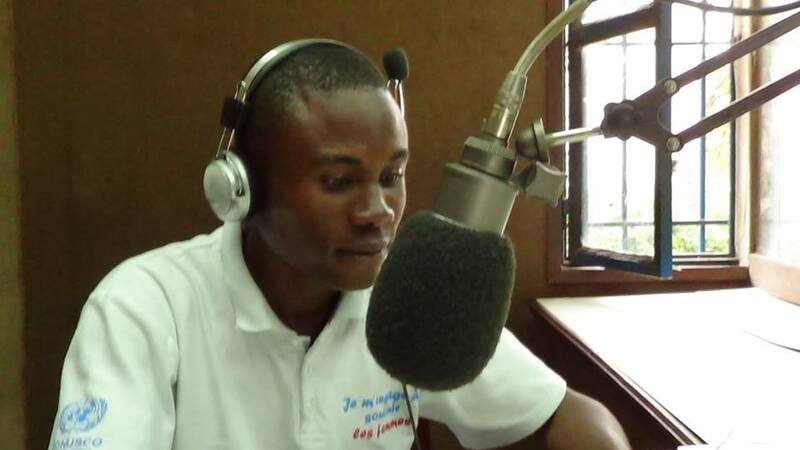 A total of 95 calls were received on the hotlines set up by the MONUSCO Police force. 24 procedures were performed from which 16 arrests for various criminal offenses followed. During the same week, different Formed Police Units (FPU) continued their population protection missions. Thus, 526, of which 191 were joint security patrols with the Congolese National Police, were performed. In Kinshasa and other provinces in the western part of the Democratic Republic of Congo, the security situation was deemed as calm during the past week. In the provinces of Upper and Lower Uele, the security environment has again been marked for the period under review by abuses by residual elements of the Lord’s Resistance Army (LRA) against civilians. In the province of Haut-Uélé there were three major incidents of activism by LRA rebels reported. The first was reported in the town of Masombo, located 65 kilometers northwest of Doruma, where four elements supposed to belong to the LRA ambushed and kidnapped two individuals. The second took place on the Dungu – Bangadi axis, where seven suspected LRA elements laid an ambush and kidnapped five motorcyclists. The third incident was reported to Gungu (20 kilometers north-west of Ngilima in the Dungu territory), where seven LRA rebels speaking Acholi, ambushed and looted property belonging to motorcyclists and cyclists traveling on the Ngilima Bangadi road. Later in the week three individuals were kidnapped by elements supposedly belonging to the LRA during an ambush in the Bafoga region, located 125 kilometers northwest of Dungu. The same day, seven suspected LRA elements ambushed and kidnapped eight Bayote individuals in the area, located 35 kilometers north of Ngilima. 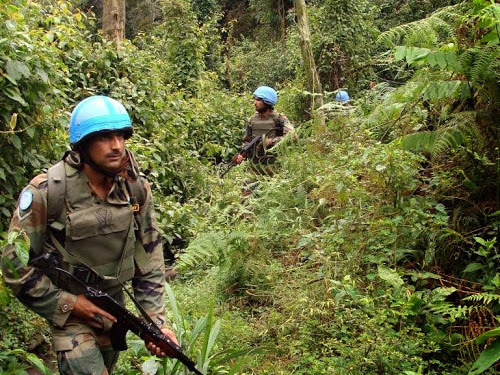 However, the MONUSCO troops deployed in these provinces continue with determination and, in coordination with those of the Armed Forces of the Democratic Republic of the Congo (FARDC), move towards the final eradication of the LRA’s military activities. In Ituri, the Congolese and UN forces continue to provide significant efforts to stop the negative activities perpetrated by elements of the Front for Patriotic Resistance in Ituri (FRPI) against civilian populations living in areas located south of the Irumu territory. During the same week FRPI elements attacked the towns of Kapalayi (10 kilometers west of Gety) and Muziro (5 km north of Aveba), molesting three people and looting cattle. Later, unidentified armed elements raided the residence of the head of Bahema South, located in the town of Marabo (40 kilometers Southwest of Bunia) and looted valuables. FRPI elements also launched an attack against the village of ‘Supreme’, located 22 km to the northwest of Aveba, and looted some houses. Alerted, troops of the Congolese army were quickly deployed to the scene to counter attack the assailants. One FRPI Sergeant wounded in the fighting was captured by loyalist soldiers. Peacekeepers based in MONUSCO’s operational position in Aveba were promptly deployed in the region concerned, in order to prevent any new security threat from FRPI insurgents, conducting intensive patrols, reassuring and protecting civilians. The peacekeepers also facilitated the evacuation of the wounded to the military hospital at Aveba where appropriate care was given. Later, FRPI elements reportedly raided the village of Kaguma (48 km south of Kasenyi) and looted property from ten women returning from Nyanavi market, located 14 kilometers south of Kasenyi. Elements from the same group then raided the town of Mabiti, located 18 km east of Komanda, looting the health center and property belonging to local people. In the Mambasa territory, three women in the chiefdom Babila Babombi (75 km west of Biakato), were attacked by six suspected elements of the Mai-Mai group.